All anglers must have a license to go fishing and must carry their license at all times while on the water. Canadian residents can buy them online. US residents should purchase license from a local vendor. Your Salmon Eye guide will explain the regulations and help you fill out your catches. Important: Make sure you have your license before you show up for your charter. All Fisherman: You can purchase a license online or through a vendor. We recommend you purchase online with the Recreational Fishing License System if you are Canadian and through a vendor for Americans wishing to retain halibut. 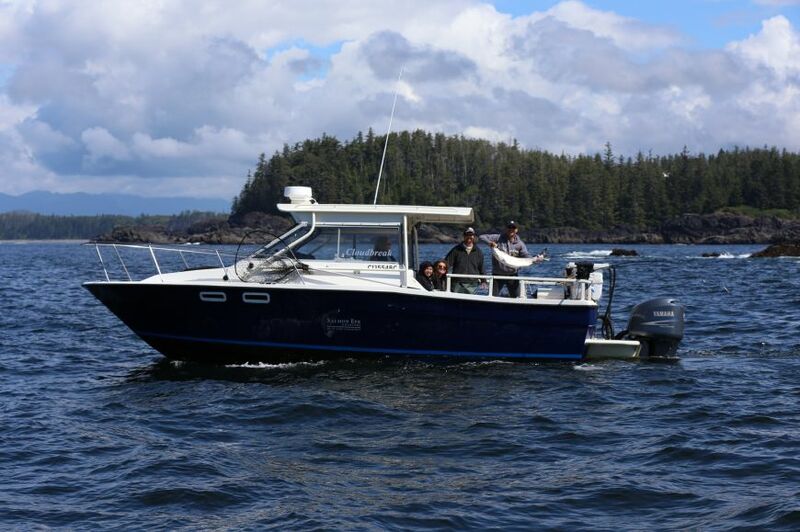 If you are coming fishing with us in Ucluelet, you can buy them along the way from Cabelas (preferred) or Gone Fishin in Port Alberni. If you are fishing with us in Victoria, Walmart, Canadian Tire or Island Outfitters at 3319 Douglas St is open from 9 am to 9 pm. The cost of a fishing license is between about $11 to $31 depending on how many days you are fishing. Licenses for people under 16 are free but you must purchase a salmon stamp if you would like to keep salmon. Note: You must purchase a license even if you are planning to catch fish species other than salmon. For more information on recreational fishing licenses in BC, please visit the Fisheries and Oceans Canada website.